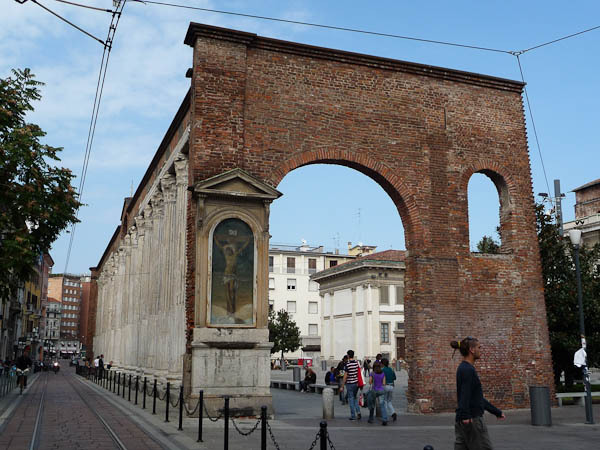 The Porta Ticinese, built in the 14th century, is a red-bricked gate that marks the entry to the Ticinese neighborhood. 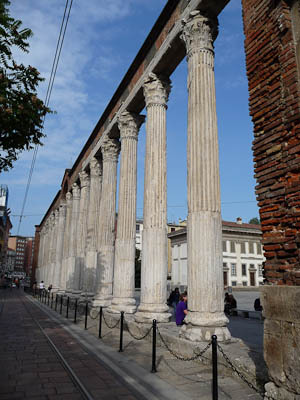 The 16 Corinthian columns behind it are from an ancient Roman ruin, brought here to be part of the gate. 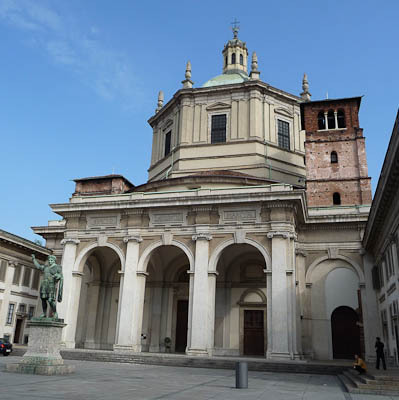 There is a lively plaza here with the Porta Ticinese on one side and the San Lorenzo church on the other side. There is always something interesting going here, good people watching. 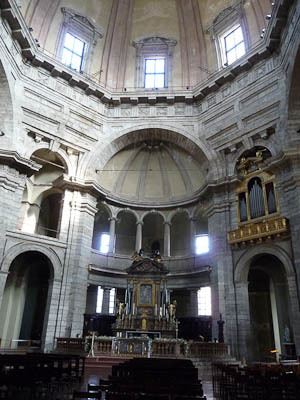 Leonardo da Vinci thought that the San Lorenzo was the most beautiful church in Milan. I liked it because this church has a centrally designed floor plan with the pews arranged in a semi-circle around the priest. The other churches we’ve seen on this trip have floor plans shaped like a cross or a rectangle with the priest at one end. We spent a morning at the Civica Galleria d’Arte Moderna (Municipal Modern Art Gallery). 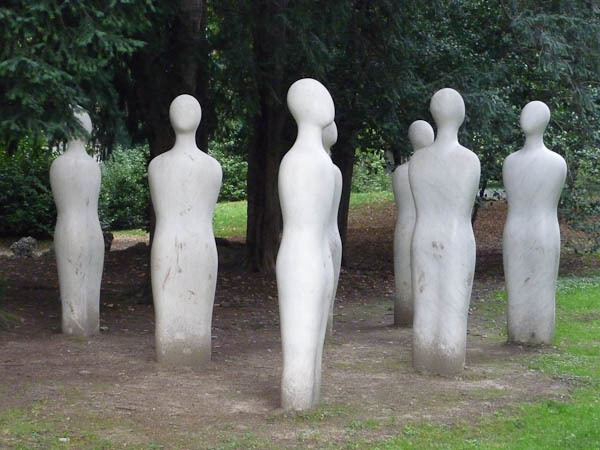 In this case, “modern art” refers to 19th century Italian art and sculpture. (I guess the word “modern” is relative.) It was interesting to see the art, but the building itself was also beautiful. 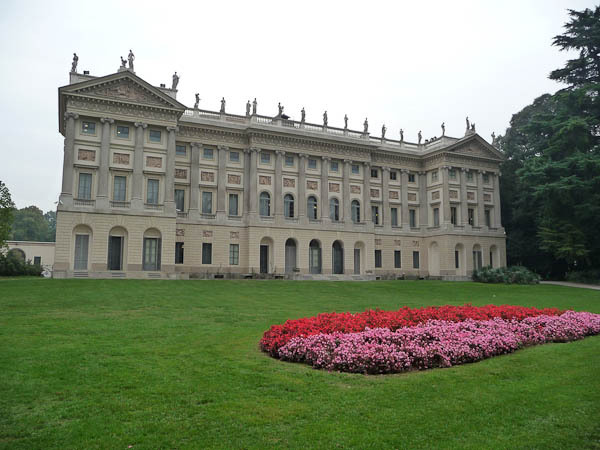 It is a former villa; Napoleon lived here for a while. 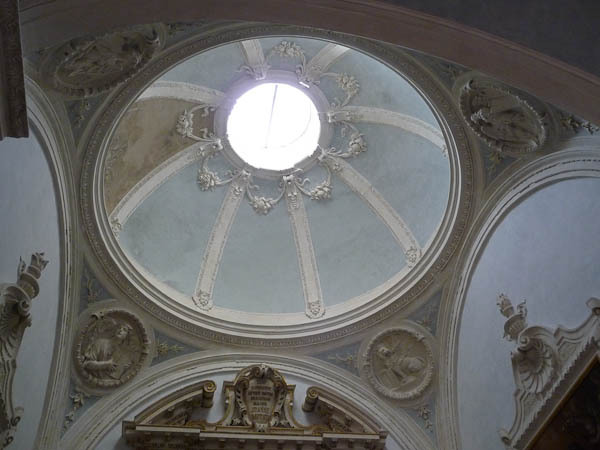 The building has recently been restored, and some of the rooms are more interesting than the art. 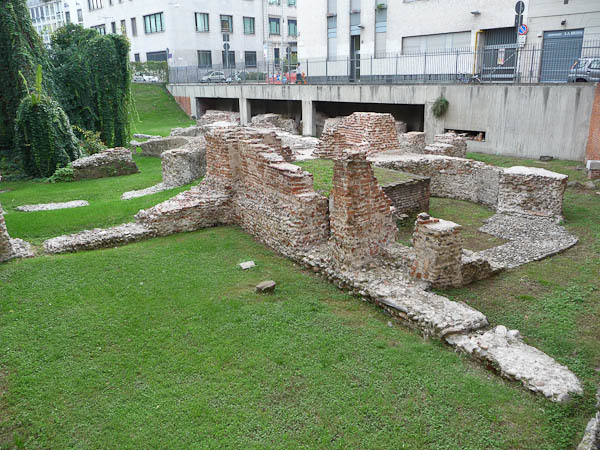 One of the Roman emperors built an imperial palace in Milan around 400 AD. 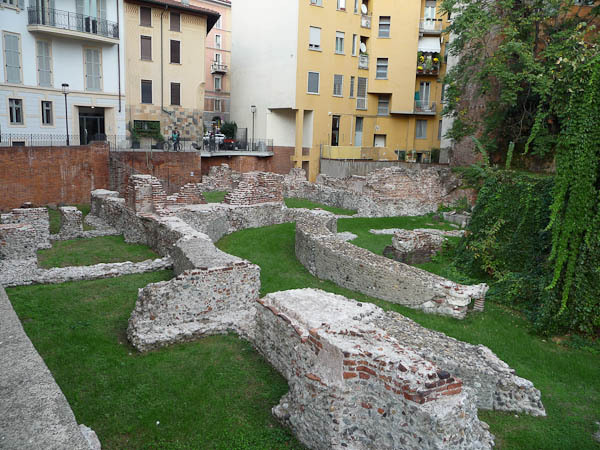 The ruins can be seen in the southwest part of the city center, next to some apartment buildings. 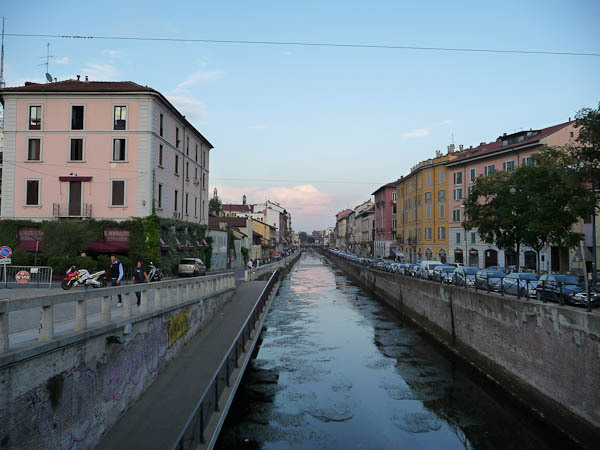 The Navigli neighborhood is a hip, arty area centered around a group of canals.